Bha 713 duine nach do nochd airson coinneimh aig an ospadal nuair a bha dùil riutha air a' bhliadhna a dh'fhalbh anns na h-Eileanan Siar. Tha sin a rèir fhigearan oifigeil a tha Riaghaltas na h-Alba air foillseachadh, bhon bhliadhna bhon Mhàrt 2016, chun a' Mhàirt 2017. Tha am figear co-ionnan ri 8% den àireamh aig an robh coinneamhan air an cur air dòigh leis an dotair. Tha sin beagan nas ìsle na an ceudad a tha àbhaisteach airson a' chòrr de dh'Alba, 9%. Ach tha na h-Eileanan Siar gu math nas miosa na Arcaibh, Sealtainn, no fiù 's sgìre Bhòrd-Slàinte na Gàidhealtachd, a thaobh seo (6.2%). 'S e an sgìre as miosa an Alba air a shon, Glaschu is Cluaidh, aig còrr air 11%. 'S ann sna Crìochan as fheàrr a tha an ceudad, gun ach 5.8% de choinneamhan air an call. Tha na figearan cuideachd a' sealltainn, thairis air an aon ùine, gun robh còrr air 400 duine sna h-Eileanan Siar a' feitheamh còrr air 18 seachdainnean airson coinneamh fhaighinn aig an ospadal. Thathas den bheachd gu bheil seo a' cur cosgais mhòir air an t-seirbheis shlàinte, agus tha na h-ùghdarrasan airson dèanamh cinnteach gu bheil daoine a' cumail ris na coinneamhan aca. 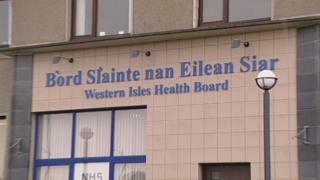 Air feadh Bhreatainn tha daoine a bhith a' call choinneamhan aig an ospadal a' cosg £600m sa bhliadhna dhan NHS. Tha dragh ann cuideachd gu bheil seo a' cumail chothrom bho dhaoine eile coinneamh fhaighinn.